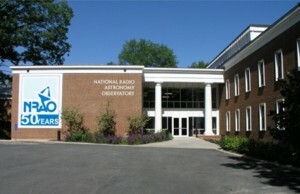 The NRAO's Charlottesville operations are located in Stone Hall, at Edgemont Road on the grounds of the University of Virginia, and in the NRAO Technology Center on Ivy Road. 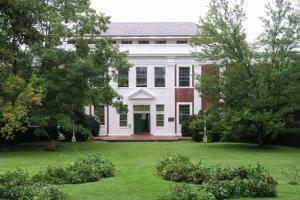 The Director's Office, the North American ALMA Science Center (NAASC), NRAO administrative offices, and the main NRAO Library are located in Stone Hall, not far from the University of Virginia's Department of Astronomy. Stone Hall has recently undergone a major renovation and addition. The NAASC and the NRAO Research Library are the primary beneficiaries of this expansion. The NRAO Technology Center (NTC) includes the Central Development Laboratory (CDL) and the ALMA Electronics Division. The CDL develops and builds key components for ALMA, the VLA, VLBA, GBT, EVLA, as well as other projects and activities. The ALMA Electronics Division is responsible for the design, prototyping, and fabrication of many of the electronic components which will enable ALMA to receive and process the signals received from the cosmos.